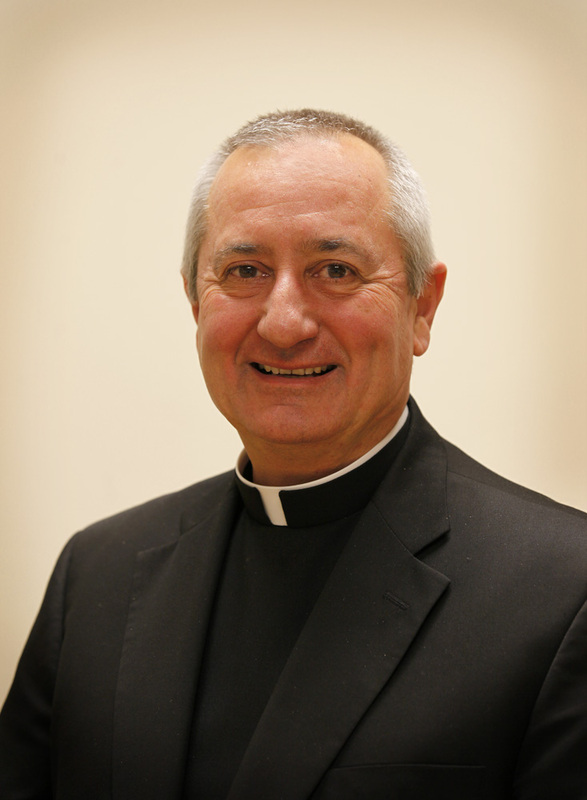 I am Father Cameli, a priest of the Archdiocese of Chicago. Recently, I offered a presentation at the archdiocesan Festival of Faith. The title was: Catholic Identity—the Catholic Difference and the Difference It Makes. I am happy to have the opportunity to share with you some of the same ideas I presented at the Festival of Faith but in a more compressed form. Having a clear and firm sense of Catholic identity is critically important, and it’s something that we can’t assume. Whether you are a member of your parish pastoral council or finance committee or liturgy commission or school board or the parish staff or a part of religious education and adult faith formation or belong to one of the parish’s ministries or are an interested parishioner—Catholic identity is critically important. We cannot move forward as a Church and we cannot share our faith with our children and grandchildren and we cannot have a genuine impact in our world, unless we clearly know who we are, our identity. Recent research, for example, conducted by the Pew Foundation tells us that many younger Catholics (20 to 40 years old) identify themselves as Catholics but their sense of identity is much like an ethnic identity, something that they are born into, nothing that calls them to commitment or to a special way of life. A genuine sense of Catholic identity rooted in faith is something that is decided, something to which we commit ourselves. It becomes an organizing center of life. Just as a woman who makes a decision and commits herself to being a mother, then takes that identity and shapes her life around it, for example, how she deals with time, money, energy, attention, priorities, decisions, and attachments, so too, someone who decides on and commits to an identity in faith embraces and organizes his or her life in a distinctive way. So, what are some of the distinctive elements of committed Catholic identity? It begins, of course, and is sustained by our relationship with Jesus Christ. We commit ourselves to being his disciples. We attach ourselves to the saving mysteries of his life, death, and resurrection. One of the prefaces of the Mass expresses this relationship very well: Father, it is right and just that we give you praise and thanksgiving through Jesus Christ, our Lord. By his birth, we are reborn. In his suffering and death, we are freed from sin. In his rising from the dead, we rise to new and everlasting life. In his return to your in glory, we enter our promised inheritance. Our relationship to Jesus Christ as his disciples in faith who are joined to him by the sacraments and who live out his life by the power of the Holy Spirit—that is the heart and foundation of our identity, of who we are. There are a number of specific ways in the Catholic tradition that we live out our fundamental identity as disciples of Jesus Christ. What are they? I will name nine of them and explain each one briefly. They are: sacramentality, community, tradition, authority, cooperation with God’s grace, a complex sense of life, working for world transformation, pilgrims with a destination, and universalism. Sacramentality. We believe in the seven sacraments. That is, we believe that across time and space, the saving mysteries of Jesus Christ are made available to us in the sacraments, effective signs that make God’s grace real and present in our lives. Beyond the seven sacraments, Catholics also have a sense of God being present in a more general sacramental way, that is, mediated in signs and in different ways. In the beauty of creation, in loving human relationships, in the wonder human creativity in music, art, poetry, and architecture, we have points of contact with the divine presence. That is why the Catholic tradition is so rich in its artistic legacy. Community. In the Constitution on the Church from the Second Vatican Council, we read: God decided to save us, not singly, one by one as it were, but to gather to himself a people. That same constitution says, the Church is in the manner of a sacrament of the unity of all humanity in God. Essential to our Catholic identity is this fundamental fact: we go to God together, we go to God together. Tradition. With over two thousand years of history, there is much that the Catholic Church and faith has accumulated in teachings and images and practices. And we might be tempted to think of all these pieces as constituting our tradition. But as the good Pope John XXIII said, the Church is not a museum nor an antiquarian society. The real sense of tradition was captured in the words of Saint Paul writing to the Corinthian community. He speaks of the Eucharist and of faith in the Risen Lord and says, “For I handed on to you what I myself received.” That process of handing on what we have received is tradition, in Greek, paradosis. From generation to generation, we have tried to remain faithful, tracing our faith back to the witness of the apostles and anticipating how we will share that same faith with generations to come. Here is the deep and real meaning of tradition in a Catholic sense. Authority. Clearly, there is authority in the Catholic Church. The Church itself is structured and organized with visible leadership that serves to keep the whole Church faithful to the teachings of Jesus and to stay together in the unity of the Holy Spirit. There is also another very important kind of authority. It is the spiritual authority of the men and women of faith who have gone before us, especially the saints. In an authoritative and specific way, they show us how to be faithful followers of Jesus. Cooperation with God’s grace. From the very beginning of his public ministry, Jesus called people to collaborate with him in his mission. Everything depends without reserve or exception on God’s grace. Still, God wants our free, loving cooperation and collaboration with that grace. The great example of this cooperation with God’s grace is the Blessed Virgin Mary at the Annunciation. Standing for all humanity, she says, “Let it be done to me according to your word.” She cooperates and collaborates with the grace of God, and so the way of salvation opens for us in Jesus Christ, the savior. A complex sense of life. Religiously minded people often view the world in terms of extremes. For example, they may see the world as completely tainted by sin, even totally corrupted by it. On the other side, they may be naively optimistic about how good everything is. In the Catholic faith tradition, there is a different take on life. Catholic Christians see the world and themselves as fundamentally good, created so by God, and yet marked by sin. In the end, the last word is redemption in Christ. They approach the world and themselves and every element of creation with gratitude, because it is good; with suspicion, because it is marked by sin; finally, with hope, because it is redeemed in Christ. This complex sense of life helps to explain our Catholic approach to sexuality, material goods, and our encounter with different cultures. Working for world transformation. A sect is a group of religious people who cut themselves off from the world. Catholic Christians do not do that. They hear Christ say, “You are the light of the world. You are the salt of the earth.” Religious faith is not reserved for a private realm. We are committed to working for the transformation of this world. That is why Catholics and the Catholic Church work in of education, health care, and social services. That is why we are advocates for life, for peace, for a just economy, and for immigrants, refugees, and exiles. We work for the justice and peace that lead to the world’s transformation. Pilgrims with a destination. Some Christians ask, “Are you saved?” We respond with Saint Paul, “We are saved in hope.” For us, it is more than saved or not-saved. For us who have been grafted onto Jesus Christ, our life singly and together is a journey, a pilgrimage, in other words, a process with a destination. The spiritual life of individuals and the history of the whole Church unfold on a pilgrimage. Universalism. The word “catholic” means universal, and we are committed to a universal and total outreach to all humanity. In the Archdiocese of Chicago, we are uniquely situated to bring together people of every race, language, economic class, culture, and neighborhood. We are committed to being universal. These are the gifts of Catholic identity that mark us as disciples of Jesus Christ. Do they make us better than others? By no means, because we may never have received or lived out these gifts as we ought. And they are gifts. So that means we receive them with humility, gratitude, and responsibility. As you gather with other parishioners or others in ministry, think about these basic elements of Catholic identity. Begin with our discipleship of Jesus Christ and then consider: sacramentality, community, tradition, authority, cooperation with God’s grace, a complex sense of life, working for world transformation, pilgrims with a destination, and universalism. Ask how Catholic identity is embodied and fostered in your parish, in your school, in religious education, and in the various ministries and services of your parish. Pray and reflect how it might be better fostered and more clearly evident.